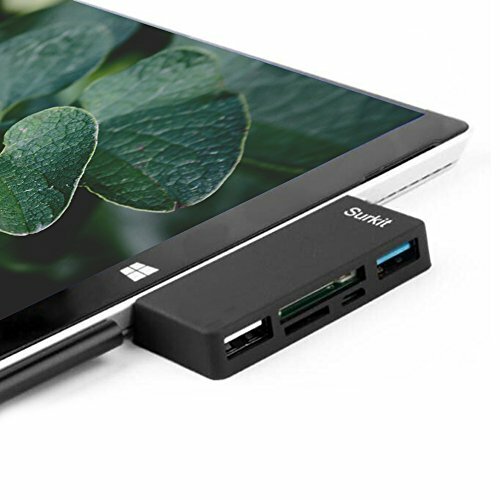 For Microsoft Surface Pro 3 / Pro 4 ,USB HUB 3.0 & 2.0-Slot Card Reader 4 in 1 Adapter - SD/SDHC/MMC4.0, Micro SD/SDHC, USB 3.0 Port, USB 3.0 Host. If you have any questions about this product by DLHY-tech, contact us by completing and submitting the form below. If you are looking for a specif part number, please include it with your message.